Since there’s so much to think about while planning a wedding, most couples don’t set aside time to consider the financial logistics of being married until after they’ve said, “I do.” For example, you probably won’t even think about filing jointly until tax season starts. 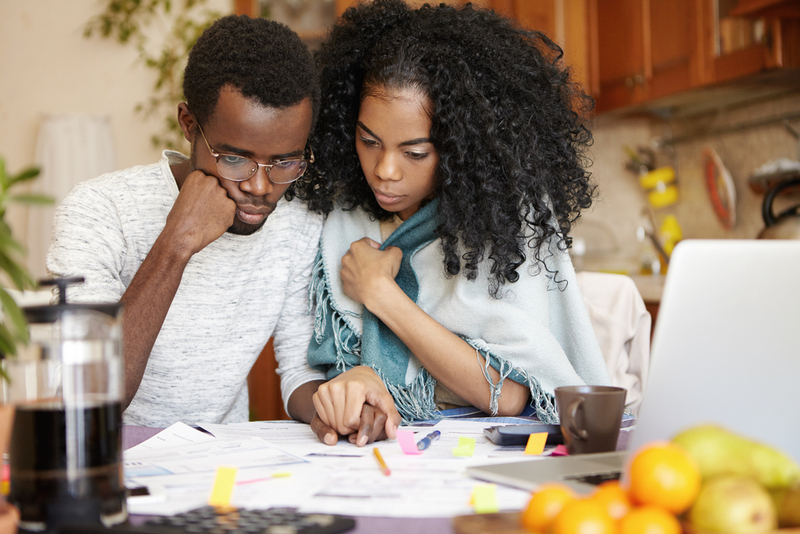 As a newly married couple, though, it’s best to take a proactive approach to tax planning. If you are classified as an employee, don’t forget to update your withholding status as soon as possible after getting married. As long as you plan on filing jointly, changing this status from single to married will prevent the IRS from withholding too much—or not enough—of every paycheck. It’s normal for a couple’s financial situation to become increasingly more complicated over time. Although this can happen gradually—for example, you might not buy a home or have children for a few years—it’s wise to get organized now. Invest in a small filing cabinet if you don’t already have one, and start filing all pertinent financial documents by year. If you’re committed to photographing every relevant receipt, it may be possible to maintain a digital system instead. Managing your money may have been fairly straightforward when you were single, but consider hiring a reliable accountant once you get married. This professional will not only help with tax planning and compiling every return but also with achieving all your financial goals as a couple. If you and your new spouse need help with tax planning, turn to Cloyd & Associates PSC. Located in London, KY, this full-service accounting firm aims to build a long-term relationship with every client. Working with both individuals and businesses, they provide everything from audits and bookkeeping to QuickBooks™ training and IRS representation. To explore all the services they offer, visit their website. To make an appointment with an accountant on their team, call (606) 864-8110.